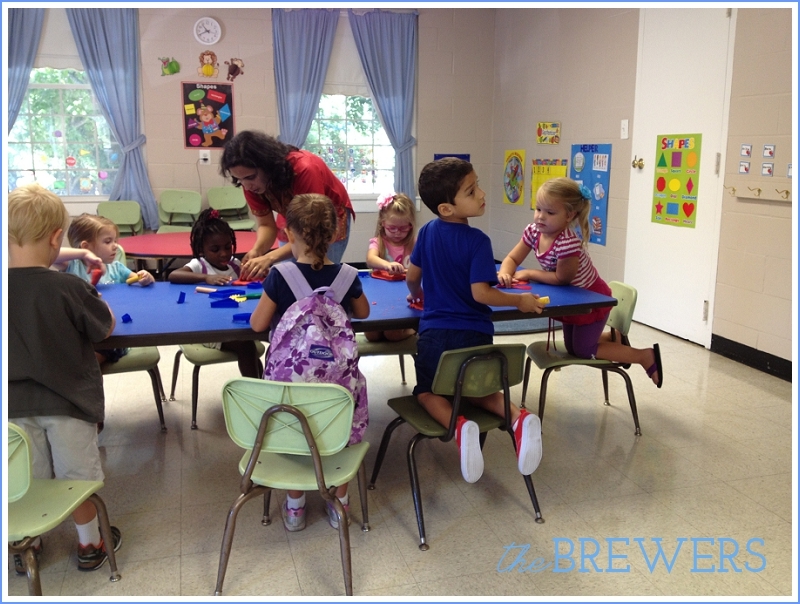 Yesterday was Autumn's preschool orientation. I've been looking forward to this, anxious to see what she would really think of school after we've been trying to hype it up for the past couple weeks. I attended orientation with her, which I think was a great way to ease her into the idea vs. dropping her off alone at a strange place on her first official day. 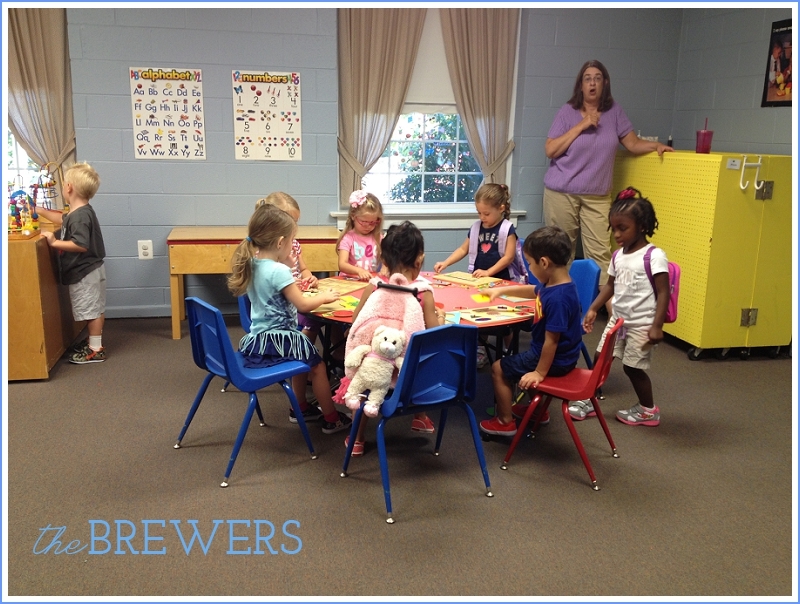 Her new teacher, Mrs. Hughes, took all of the parents and children through a speedy version of what a day at school would be like. We saw where Autumn would hang her coat and backback, the art room, the "quiet" room, and Autumn even got to have snack with her classmates! Initially Autumn was shy and wanted me close by her and didn't immediately find her seat with the other kids at each station, but eventually she got more brave. 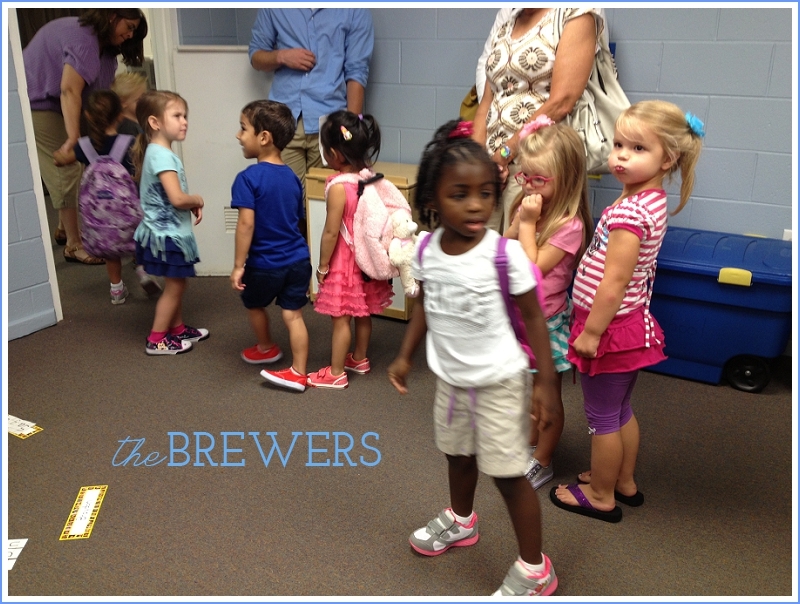 During snack, the parents left the kids with their teacher and aide, to go through more orientation. She didn't hesitate at all and when I returned she was happily joining in with her teacher and classmates doing the "Ittsy Bittsy Spider". When her name was called to leave, she ran to me with a big smile on her face and gave me a big hug, asking when she could come back to school. I love that Rachel goes twice a week. It's going to be so awesome, for you and for her.